A simple woven tank is incredibly versatile: it’s the perfect casual top to throw on in the hot summer months, but it can also layer under suits or cardigans for the office, or make one in silk and you have an evening top ready. The Springfield Top comes in sizes 12 – 28 and cup sizes C – H, and it’s a fantastic pattern for beginners, and an easy project for more advanced sewists. 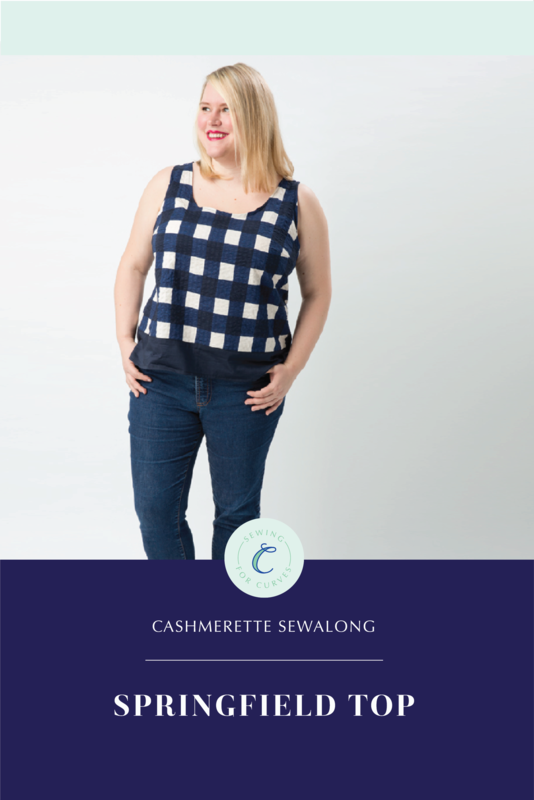 This sewalong takes you through all the steps in making a Springfield Top – and there are extra posts on adjusting your pattern, and sewing with French seams.